Robbie Cano, don’t cha’ know drugs are banned in the MLB? 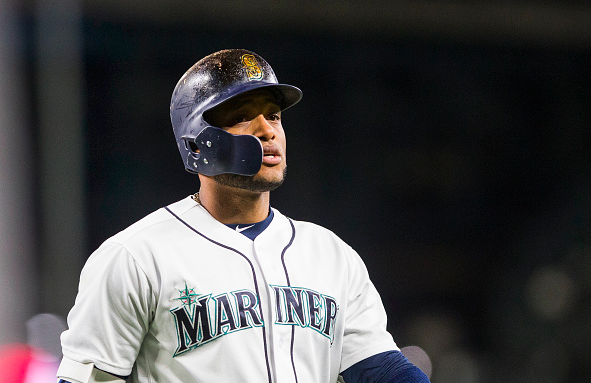 Via Twitter, Ken Rosenthal of The Athletic confirmed Robinson Cano was recently suspended by Major League Baseball for eighty games after testing positive for a substance called Furosemide. This original report, however, does not cover all the details. In a new report, MLB.com’s Mark Feinsand tweeted Cano did not test positive for PED usage, but for a diuretic used for medical purposes. According to a source, Cano’s positive test was NOT for a PED, but rather a diuretic used for a medical issue. Will be suspended 80 games for the violation. Cano issued the following statement in response to the suspension via social media. 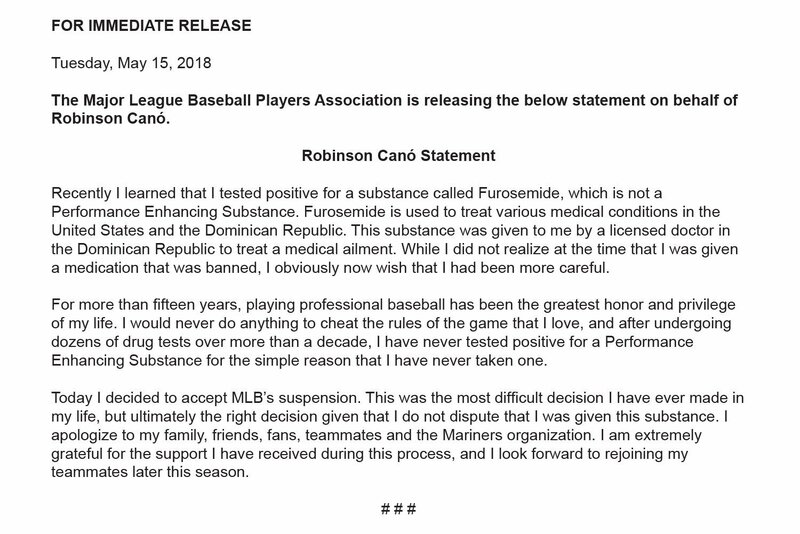 In his statement, Cano made it clear that he should have been more vigilant prior to taking the substance, and will accept the eighty game ban that was handed to him. Prior to this unfortunate discovery, Cano had a one-way ticket to Cooperstown, featuring a career average of .304 with 305 home runs and 1206 RBI. His once clear path to the Hall is no more, as Cano will have a more difficult time entering the Hall with a failed drug test on his résumé. Cano, a veteran who is renowned for his ability to stay on the field, was placed on the 10-day disabled list yesterday after suffering a fracture in his right hand. The sweet-swinging lefty was enjoying yet another solid season, hitting .287 to go along with four home runs and twenty-three RBI. The eight-time All-Star spent his first nine years in pinstripes, but left the Bronx for Seattle after receiving a more lucrative contract from the Mariners following the 2013 season.